KS3 tucking into a fresh fish. Mrs G with the remnants of one. No others present. Mrs G says 'waste not, want not'! KS2 now tucking in to what was left of the large fish, one chick waiting. EDIT. 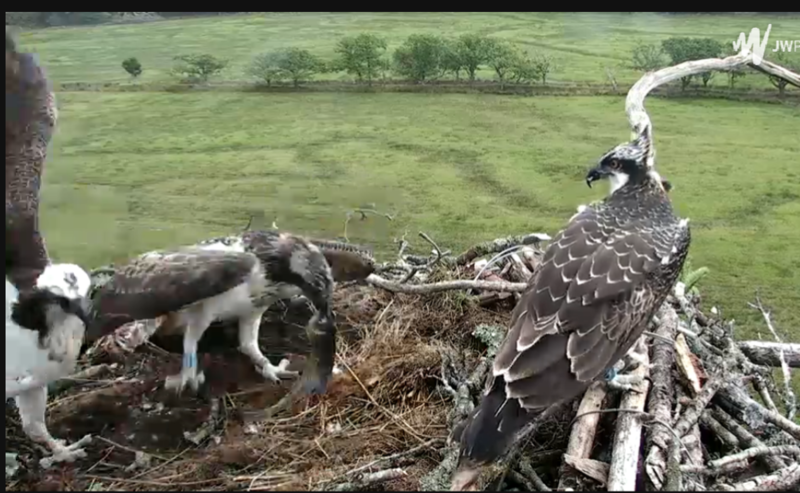 As I looked back LS1 was mantling and in came Aran with a fresh fish which was grabbed by her. Magnifier says it is KS2, the Male, in your series of Shots MC.